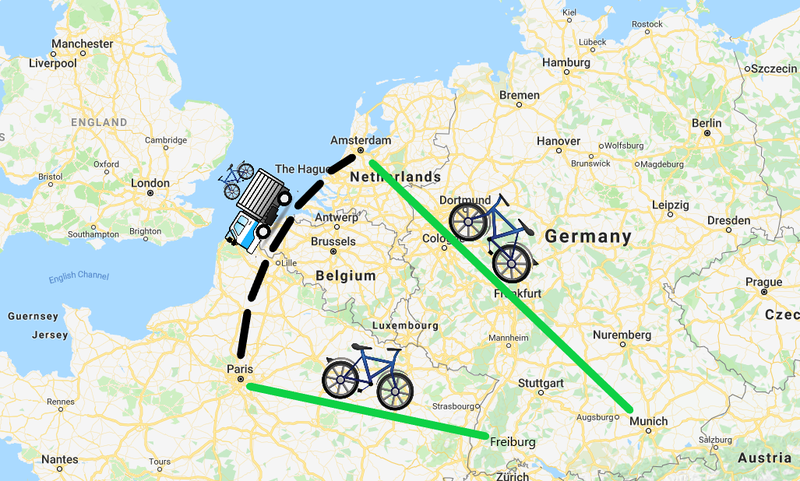 Cycling in Europe – what a way to see the old country (or countries)! 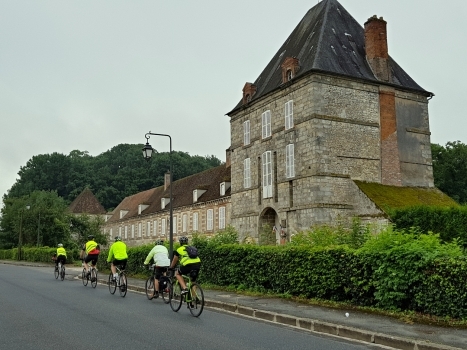 We have a growing list of cycle tours all across Europe – covering some of the most popular destinations (France, Germany, and Italy) as well as some places you might not have previously considered cycling but should (Bulgaria, Romania, and Albania for example). 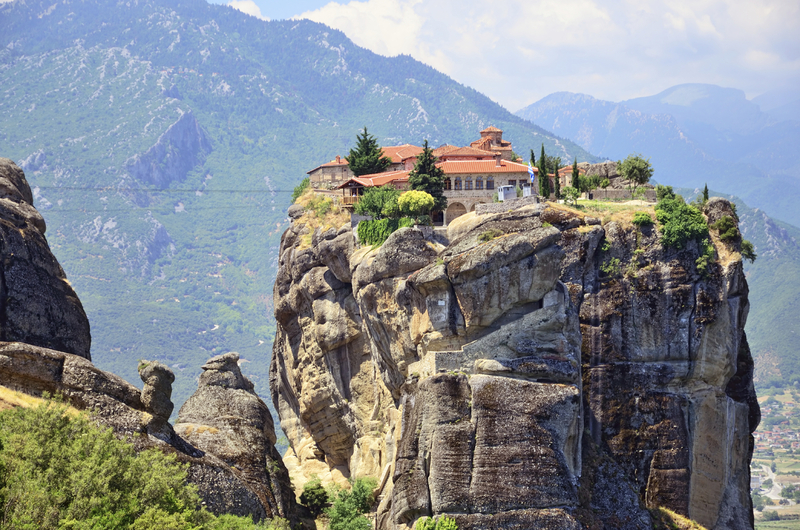 We have our original European adventure (the Orient Express) in July and another relatively new and hugely popular tour (the Odyssey) that precedes it in May and June. And, stay tuned, we may be announcing a third European tour for the summer / fall of 2019. We dropped a not-so-subtle hint in this article in Forbes [UPDATE: Registration for Viva Italia now open! Read the announcement here]. All our tours in Europe for 2019 will be hotel-to-hotel tours so after a tough day of cycling, a bed and a shower await. Between June and September we will have cycling options for you in over 15 European countries, so let us tempt you for a moment. “MID-MORNING COFFEE AND CAKE STOPS: A common sight at around 10am on any given day in Western Europe on the Orient Express is a group of cyclists street-side with a table full of cappuccinos and bicycle helmets, checking maps and discussing where the next stop will be. Riders guiltlessly order ridiculous desert creations through glass-fronted display cases. As some riders arrive, others depart and the group at the table grows and shrinks over the course of an hour before the stragglers collect their bike gloves and water bottles, ready to enjoy their next mid-morning stop somewhere up the road another 15 km or so. By the time you reach Budapest and the street-side cafes thereafter become less frequent, you may almost be relieved. 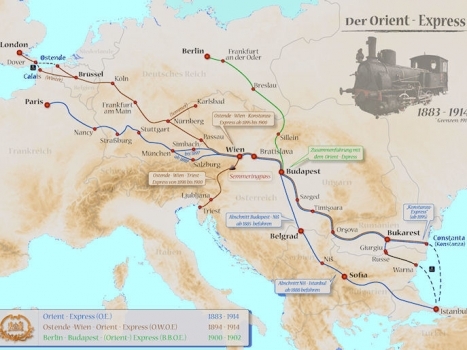 Though the roads are gorgeous after Budapest, they will also become more hilly – an opportunity to counteract the effects of all those delicious deserts.” Read all 10 reasons to cycle the Orient Express. 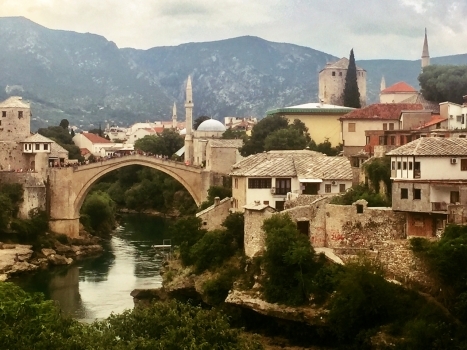 “The Odyssey has you riding in areas of Eastern and Western Europe away from the beaten track at times, visiting islands off the Croatian coast, passing through Unesco listed sights and with rest days in cities with so many things to do that you’ll be chalking them down for another visit. 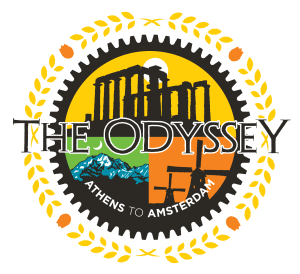 Be prepared for plenty of climbing from the start in Greece until you cross Austria, but this is more than made up for with days of riding alongside the Rhine to the final arrival in Amsterdam.” Read all the feedback from the 2017 Odyssey cyclists. If you have never been on a TDA tour, check out what to expect and then read why you should ride with us to learn how we differ from other bike tour operators. And if you have questions, we might have the answers. Please email or call anytime. We can arrange for you to speak with one of our former participants in your area, or we can tell you a little more about our Guest Rider program – a great way to try out our tours closer to home without committing to a longer trip. 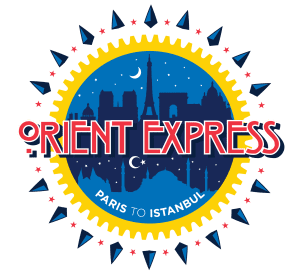 You might have noticed that there is nine days separating the end of The Odyssey in Amsterdam on June 28 and the start of the Orient Express in Paris on July 7. That’s just enough time to rest your legs and do some sightseeing before setting off on the 2nd part of your European cycle adventure. After the Odyssey, you will also be eligible for an additional alumni discount for the Orient Express. 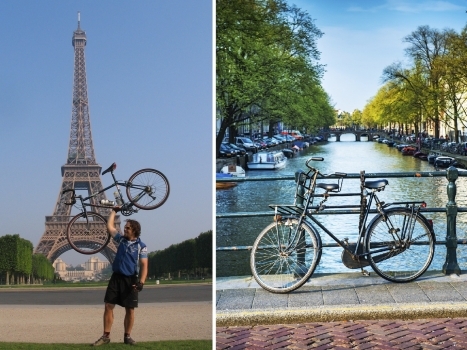 6 Comments for "Cycling Europe in 2019: Over 15 Countries to Choose From"
Do you have a copy of a hard copy brochure? I look forward to hearing from you. Hi Susan, We have emailed a response to you. Hi Sharon, We have emailed you a response. Re your advert in Cycle magazine. Just a thought. Not really a good idea to lay the bike down on the gear side.